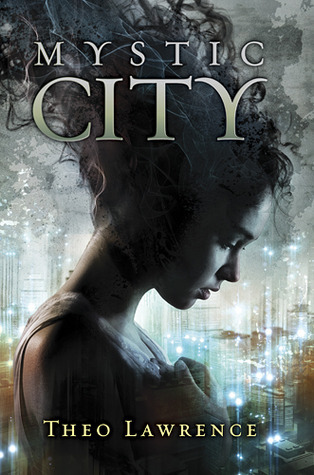 Blurb: For fans of Matched, The Hunger Games, X-Men, and Blade Runner comes a tale of a magical city divided, a political rebellion ignited, and a love that was meant to last forever. Book One of the Mystic City Novels. I read Ely’s review of Mystic City by Theo Lawrence before I wrote mine, because I pretty much am sure that we have the same things to say about this book, and when I read it, it just confirmed it. I’m not going to lie. This is going to involve spoilers so if you would like to read a review without any spoilers click here to read Ely’s. Theo Lawrence, you do know how to construct a plot. I agree on most parts being predictable, but as Ely said, there were many things that weren’t predictable as well. Like Patrick Bennedict. I was so taken a back by that one. And with the other ones, you begin to suspect people a page before or so. Like Elissa. When she kicked that can, I was like, “Yup. She’s an enemy. Nobody kicks cans like that.” But aside from those things, Lawrence introduced answers at the perfect time, and I applaud him for that. I hope Theo hears them! And another thing I agree with Ely, is the world building. It was really quite interesting on how this world was formed. The use of gondolas, and the Mystic lights. It was different from all the other Dystopians books I read. It seemed to dwell more into the details of the world, not just the overlay. Aria was a nice character to read. You didn’t have to yell at her to believe, she sought all the evidence and agreed on it herself. Good on you Heroine! Nice one! I think my favourite part would have to be when Hunter and Aria were escaping from Aria’s house once they were caught, and they just slipped through the walls. I was so excited. Davida being promised to Hunter! Being him! WHY WOULD YOU DO THAT? THAT WAS SO CRUEL. BUT AWESOME. I don’t know if it was just me, but I preferred that the first meeting of Hunter and Aria after Aria had her memories erased. The actual first one made Aria sound really stuck up and more like her mother than ever, and quite rude. And that just didn’t feel like Aria to me. Even if she was rude I was used to her apologizing because of it. Hunter there’s another story. He just dropped down and fell for her and I was like, “NO. NO. NO, GIVE HER SOMETHING TO RUN FOR.” But no. That didn’t happen. I preferred when he was sneaking up on Aria and when he saved her from those wicked poor people. Aside from that, those love letters were really cheesy, if I say so myself. I think I can say that I like the present Aria, not the past Aria…if that kind of makes sense? Overall, this is on the good end of the book meter. Not at the top, because Shatter Me sits their growling. But the sequels may challenge Divergent! Who sits in second place!